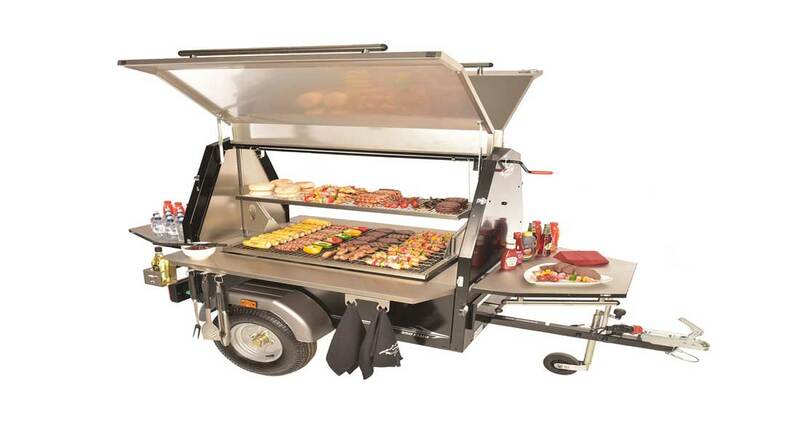 The Trailblazer Commercial BBQ range brings incredible simplicity, huge grilling powers, infinite temperature control, mobility, pure theatre and significant growth to commercial businesses! 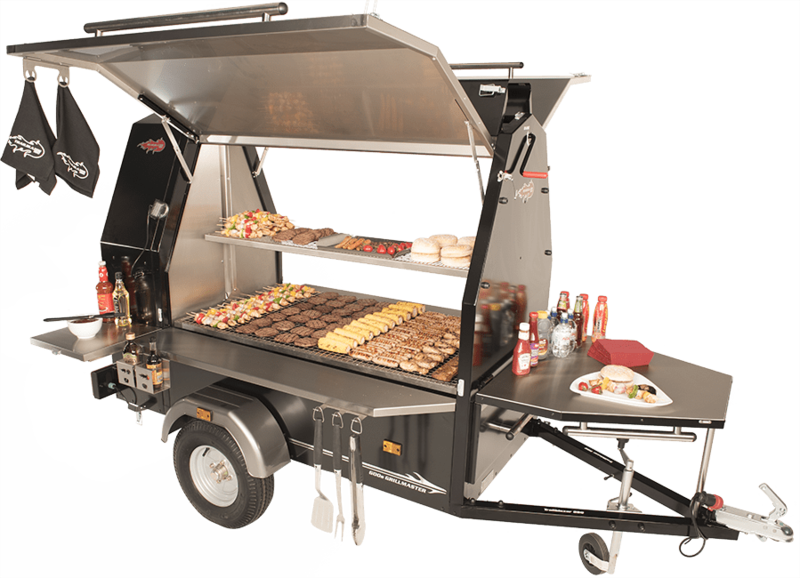 A Trailblazer towable charcoal BBQ is not just another piece of commercial catering equipment, it will significantly enhance your business and profits, grow new customers and extend your outdoor catering season! 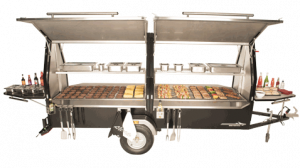 The commercial BBQ range consists of 4 models with 7 configurations to help ensure we have the perfect fit for your size requirements! 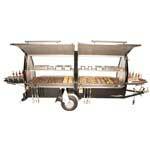 Want the 1200 Festival shell however don’t see the need for a dual grill? 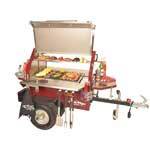 Have one part grill & one part appliance recess area. 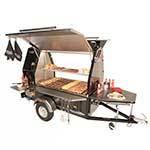 Tailor the appliance recess area specific to your needs. 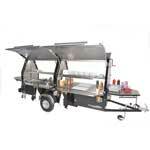 Whether you opt for fryer units, refrigeration, etc. 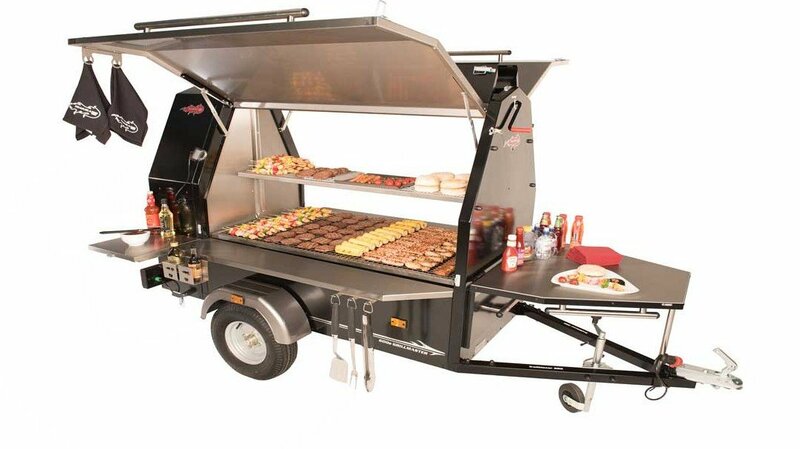 The 1200 Festival is the ultimate commercial catering trailer for very large numbers. 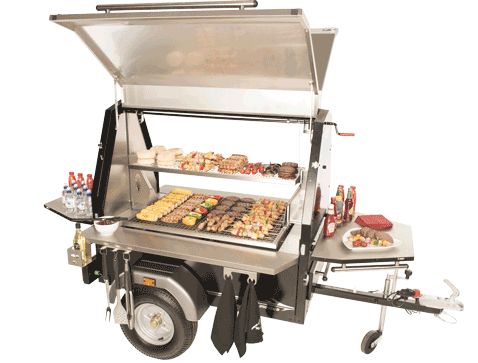 This BBQ trailer has massive outputs of up to 1200 burgers per hour! 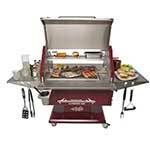 This unit can also be converted into a one part grill & one part prep & storage area thanks to the Trailblazer Prep & Store Kit. Prep & Store Conversion compatible. 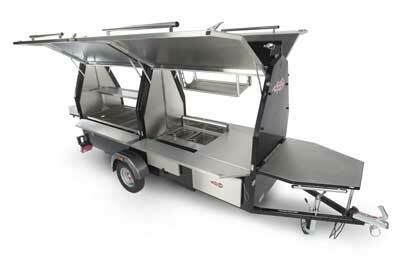 The 600s Grillmaster is proving to be a key player in the street food and mobile catering industry. 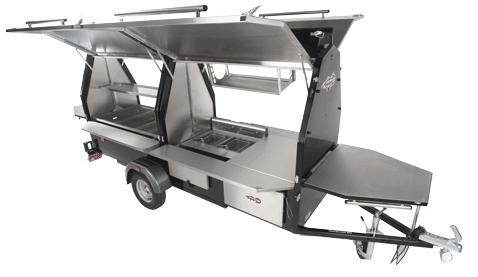 A compact and mobile unit, allowing access in tight areas and courtyards yet boasting impressive output & theatrical cooking experiences. 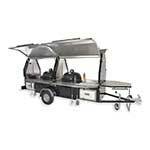 The 350 club is an excellent option for when the size and capacity of the 600s isn’t required. 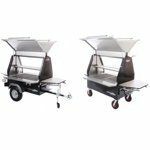 The 350 Club has the same innovative features as out bigger BBQ trailers and is also available in a mobile version with high quality inflatable castors for easy manoeuvrability. 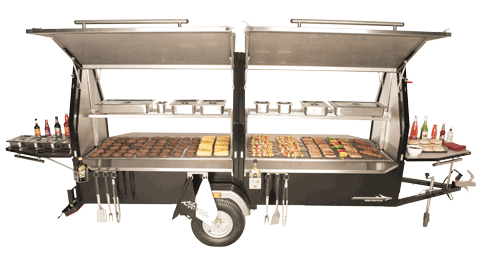 Perfect for high volume catering as the 1200 Festival has a grill capacity capable of holding up to 120 burgers at a time. 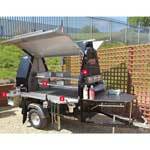 Conversion kit also allows for Prep N Store area. 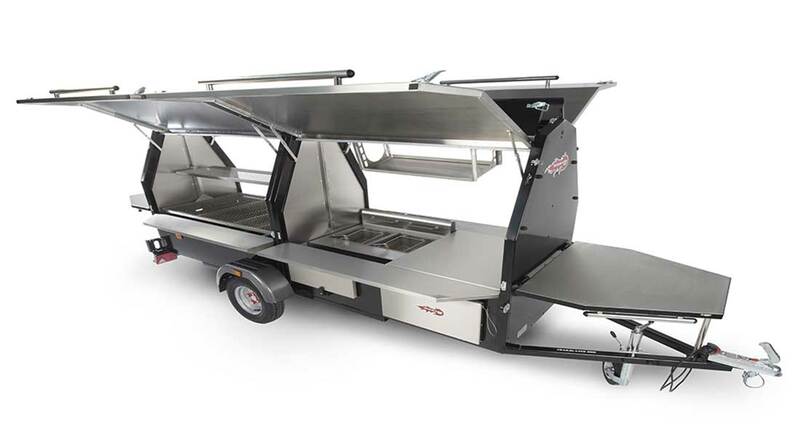 Perfect for a restaurant add on, beer gardens or for when the output of the 600s isn’t needed. 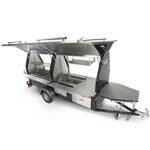 The 350 Club comes in mobile version for when towing isn’t required. 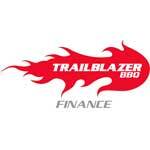 Mark now has several Trailblazer BBQs and is likely to be returning for another sooner rather than later! 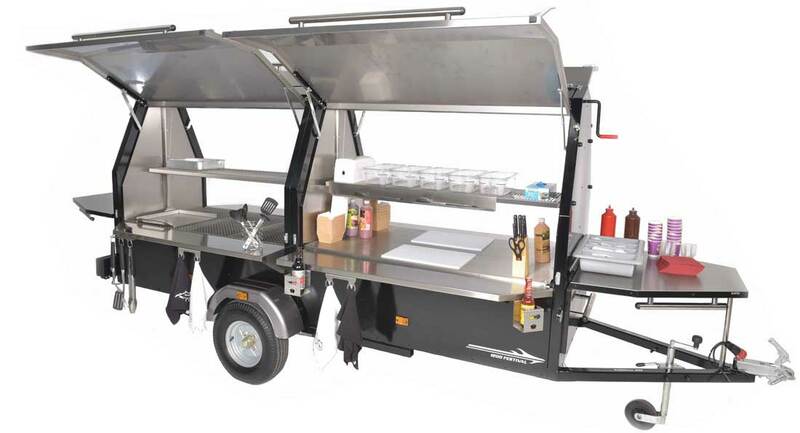 We caught up with successful London street food trader & proud Trailblazer BBQ owner Leigh White to see how he is benefiting with Trailblazer BBQ. 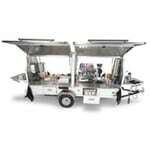 We took this opportunity to catch up with Jack and see how he has been benefiting with Trailblazer BBQ.